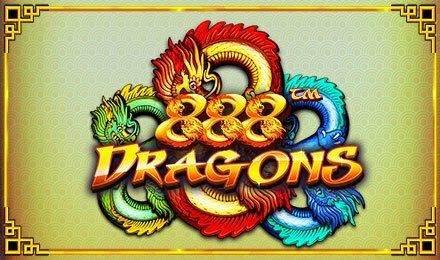 888 Dragons by Pragmatic Play is the sequel to the ever-popular oriental themed slot, 8 Dragons. Available at Wicked Jackpots Casino, enjoy the possibility of big wins when you spin the reels. Packed with 3 reels and 1 payline, the theme of the game is traditional and fun! You will find the paytable on the left of the screen, which states the rewards every symbol awards. On the reels, there are only three symbols, and dragons of various colours. These are; blue/light blue, gold/red, and yellow/green/. The top paying symbol of 888 Dragons Slot is the red/gold dragon, which easily awards 100x your stake for a three-symbol combination. Clicking on the + or – symbol located on the left and right of the Spin symbol will open the bet tab for you. Here, you get to select stake values and bet levels to put to play. Autoplay is at hand, enabling you to set several auto spins to play! Enjoy 888 Dragons today! Bet Levels: Set your bet levels from 1 to 10. Amount of Paylines Selection: There is only one payline present. Coin Values: Set your stakes from £0.01 the lowest value to £0.50 the highest value.